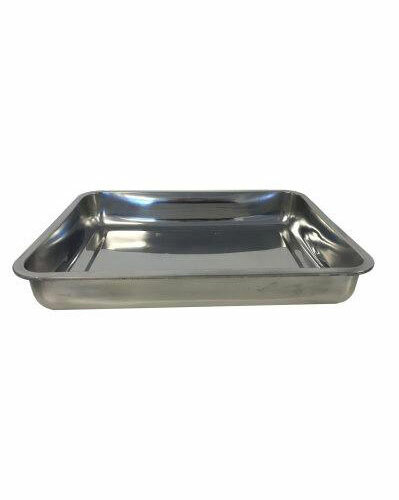 Looking for a high quality, non-toxic, long lasting baking dish? Well, look no further! They are made from #316 (18/10) food grade Stainless Steel, (the best of the best!) and are great for baking, roasting, freezing meals etc. 40cm x 30cm with deep 7cm walls to capture all those baking juices.